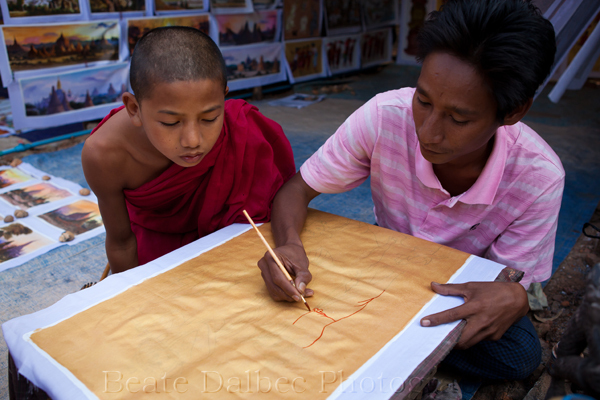 One artform that you will find mainly in the Bagan area is sand painting. 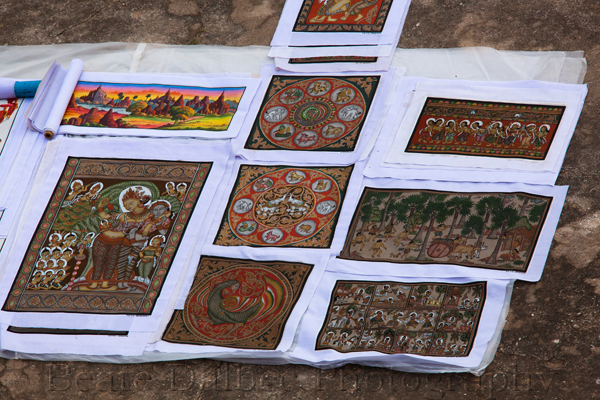 Not having traditional canvas available, artists spread an acrylic glue on cloth and sprinkle fine sand on it. Once it is dry it is ready to be painted. 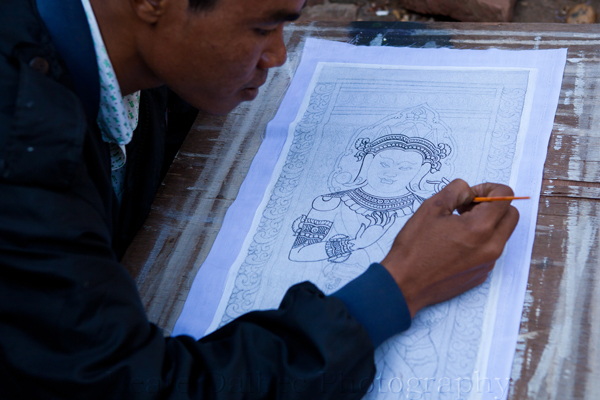 Even so some artist are starting to paint their own designs, a lot of paintings are copies of murals found throughout the temples, most notably the Gubyaukgyi temple dating from the 12th century. 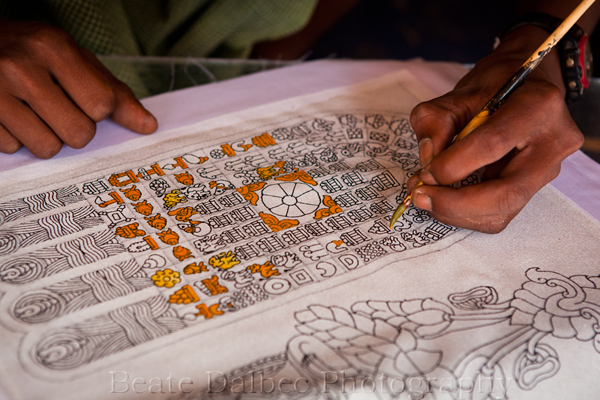 This particular temple has some of the most well preserved murals in Bagan. In a preservation effort the Department of Archaeology has banned photography and especially making carbon copies of these murals, but local artists took advantage of the chaos after the earthquake in 1975 to gain access to the temple and copy some of the murals. More images from Myanmar can be found on my website. As an ordinary tourist, one might fleetingly enjoy these paintings without realizing the back story and the work that goes into producing these works of art. Thanks for sharing this story, Beate.